Hello, and welcome back to the Gopher Patrol blog! Springtime is upon us which means mosquitoes will become more active over the next few weeks. While we have not experienced the heavy rainfall here in Santa Barbara this past winter as we did last season, the recent rainfall we’ve received has contributed to the higher water levels in creeks, sewer drains, and backyards. While we are always grateful for the wet weather here, rainfall creates standing water that attracts pests like mosquitoes, giving them the perfect environment to breed and thrive. 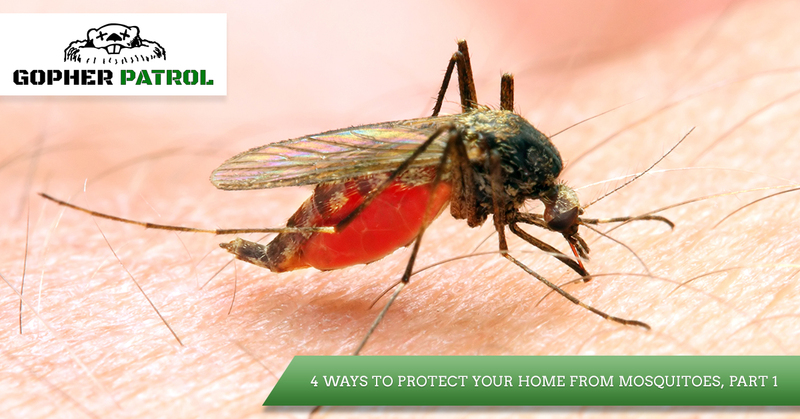 As we move into mosquito season (April to October), here are four tips to consider for protecting your home, property, loved ones, and pets from these annoying and dangerous insects. If you are ready to schedule effective mosquito control and prevention, call your Top Rated Local® pest control experts at Gopher Patrol. Please continue reading below to learn our tips. Maintaining your yard is a great way to keep your property free of unwanted pests. Eliminating organic materials that create a humid environment for mosquitoes to hide can keep them out of your yard and away from people and pets. Some mosquitoes even prefer certain types of vegetation to live in, so keeping your yard free of yard waste, piles of branches, and other yard clutter can help you safeguard your home from these pests. Cleaning your yard regularly also gives you a chance to clean your yard furniture and get rid of humid areas where these bugs like to hide. Female mosquitoes lay their eggs in standing water, so if you eliminate this environment, you may deter mosquitoes from breeding. There are many areas around your home where standing water collects, including buckets, gutters, bird baths, planters, ashtrays, upturned lids, pools and pool covers, hot tub covers, tree stumps, boat covers, drains, toys, and yard furniture. Take time to go around your house and remove standing water from these and other areas, especially after it rains. When spending time outdoors, use natural mosquito repellents to protect people and pets. Citronella candles and tiki torches put off an odor that mosquitoes don’t like. There are also many fragrant plants that naturally deter mosquitoes from buzzing around, which include lavender, peppermint, basil, lemon balm, citronella grass, and marigolds. Try applying lavender, peppermint, or lemon-eucalyptus essential oils to your skin to fend off mosquitoes. 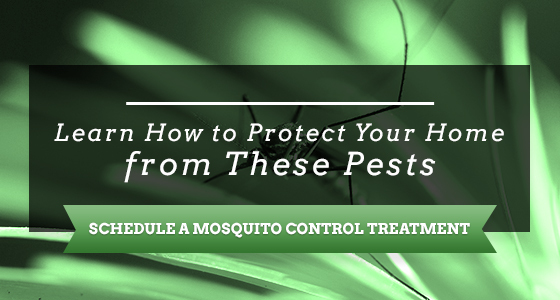 One of the best defenses against mosquitoes is to stop them from ever invading your property. The Gopher Patrol team can apply standing water treatments to keep mosquitoes and other water-loving insects and pests away from your property. All of our mosquito control and prevention treatments are EPA-registered products so you don’t have to worry about risking your health, your family’s health, and your pet’s health to keep your home protected from mosquitoes. If you’re ready to safeguard your home from these unwanted flying insects, call Gopher Patrol for Top Rated Local® pest control in Santa Barbara and the surrounding areas and get rid of those mosquitoes before they even show up. Join us next time for part two of our short blog series, and until then, thank you for reading our post!